It perched in the weeping willow like a vulture. When the moon arched its highest, the house lay dark. 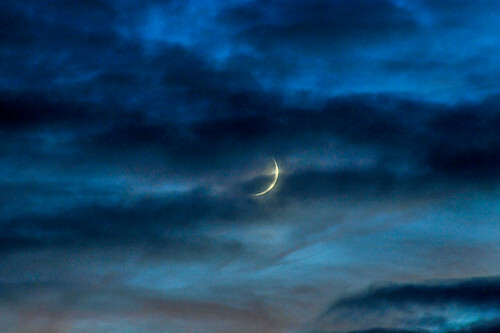 An hour later clouds drifted across the bone-white crescent in the sky, plunging the yard into the deepest of shadows. Only then did it climbed free and prowl across the side yard. In the back, just over the air conditioning unit, the creature sank claws into the outer wall. It scuttled like a lizard, the only sound the tiny crinkling squeaks of the aluminum siding rending beneath its nails. Small, agile digits scratched and worried at the window until with a shudder the unlocked glass slid up. The screen peeled away like a stubborn cobweb. With a spider’s artful silence it slid through the window, avoiding toys on the floor as it settled into a crouch. The creature unfolded and crept to the bed. It peeled back the covers and slinked inside. Until the sky began to lighten in the east the creature lay curled around its teddy bear, surrounded by the toys it had once knew and the memories growing harder to hold each night. Howard loves horror. When not writing spine-tingling tales, he sits as an Associate Editor for EMP Publishing. Aside from wringing words of wicked wrath, he writes fantasy under another name.